When you buy your "Grow Your Own" Tortoise Food seed mixtures from Cosy Tortoises you are providing your tortoises with a good balance of vitamins, nutrients and minerals. 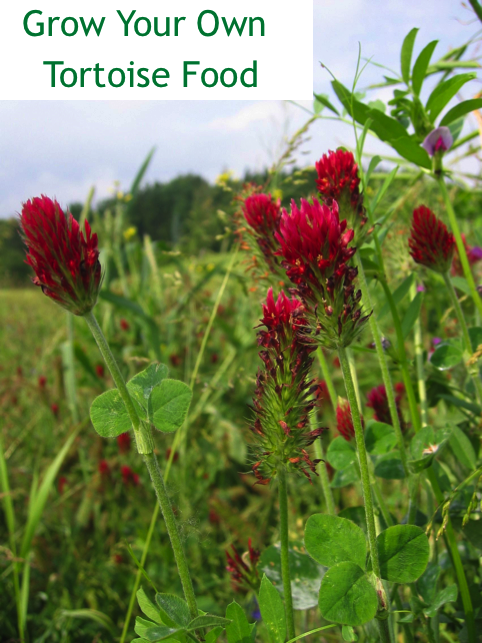 Variety is also the key to avoid tortoises being dependant on one type of food which can lead to health problems and poor growth. 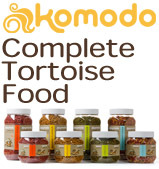 Our seed mixtures can provide a natural diet for tortoises. These seeds have been carefully selected and are easy to grow in your garden, in pots or trays. The wildflower selection has been carefully selected to ensure there are no plants that are toxic to humans or tortoises alike. 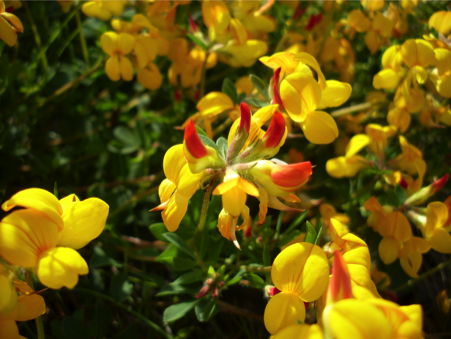 They can all be found growing wild in the typical english countryside. It is wise to note that not everything found wild is safe to eat for tortoises or humans so this is by far the safer option. Mega Mix 30 Wildflower seeds 5g, 10g, 15g, 20g, 25g, 50g and 100g. The best way to provide variety for your tortoises. No grass seed so use this to supplement a lawn your established tortoise food corner. 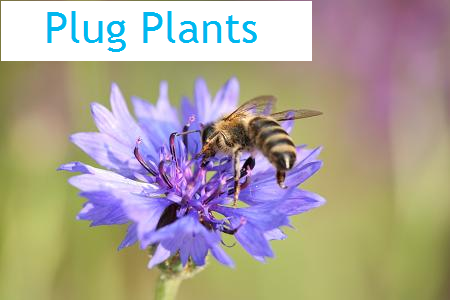 Them best way is to start them off as plugs and plant out when around 15 cm high after cutting back your established food corner to around 10 cm high. Species included; Alfalfa, Betony, Birds-foot-trefoil, Borage, Buckwheat, Chicory, Chickweed, Common Knapweed, Common Mallow, Common Speedwell, Common Trefoil, Cornflower, Crimson Clover, Dandelion, Evening Primrose, Forget-me-not, Kidney Vetch, Lady's Bedstraw, Marsh Mallow, Meadows Cranesbill, Musk Mallow, White Mustard, Parsley, Ribwort Plantain, Rough Hawkbit, Sainfoin, Self Heal, Shephard's Purse, Tufted Vetch, and Wild Rocket. This mixture is ideal for creating the perfect weed corner or outdoor run mixture including a healthy dose of grass seed. This mixture contains grass seed, clovers and alfalfa that should provide the necessary fibre all year round. The ideal addition to a grassy lawn, this mixture is perfect for creating a wildflower corner with a healthy dose of clovers and alfalfa for good measure.